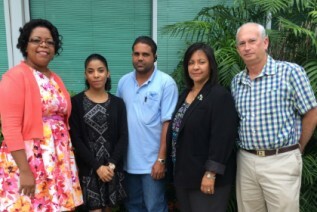 Water Authority – Cayman is pleased to announce Pierre Ordonez as this year’s recipient of the Authority’s Annual Scholarship. Mr. Ordonez has spent the past three summers as an intern with the Water Authority and remained with the Authority on a temporary contract as of September 2017 as Student Engineering Assistant. In January 2018, he will commence a Bachelor’s Degree in Civil Engineering at Kansas State University. 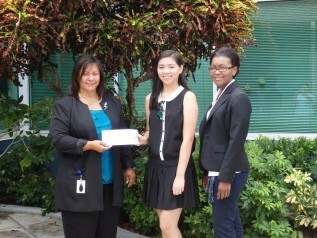 Water Authority – Cayman is pleased to announce Kristina Powell as this year’s recipient of the Authority’s Annual Scholarship. Ms. Powell will begin her major in Management Information Systems (MIS) at The University of Tampa in the fall of 2016. Currently majoring in Chemistry at the University of Bradford in the UK, Chynna Retumban was the 2014/2015 recipient of the Authority’s annual scholarship. After graduating from St. Ignatius Catholic School with four GCSE and five IGCSE, Chynna returned to complete Sixth Form. Chynna is looking forward to working with the Authority following the completion of her degree. Alexander Walton was the recipient of the Authority’s annual scholarship for 2013/2014. 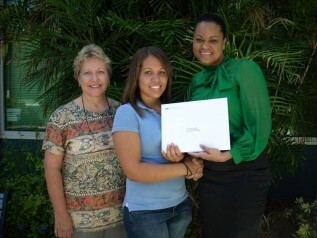 The Authority’s 2012/2013 annual scholarship went to Lydia McField. Lydia received her Bachelor’s Degree in Business Administration at the University of Florida in Gainesville. 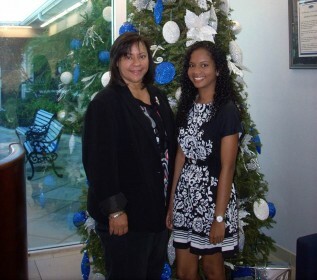 Jodiann Jackson was awarded the 2010/2011 annual Authority scholarship to pursue a Bachelor’s Degree in Environmental Engineering at Florida International University. Jodiann currently works as Graduate Engineer at the Water Authority. 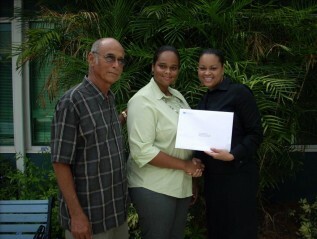 The 2009/2010 annual scholarship went to Sabrina Douglas. Sabrina attended the University of Guelph where she pursued a Bachelor’s Degree in Marine and Freshwater Biology. 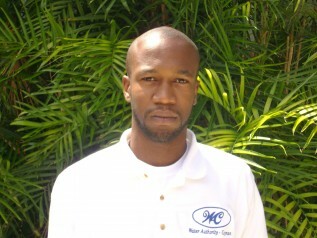 Wade Mitchell-Evans was awarded a partial scholarship for 2006/2007 to complete a Bachelor’s Degree in Mechanical Engineering at Worchester Polytechnic Institute. Wade currently works as Assistant Engineer at the Water Authority. 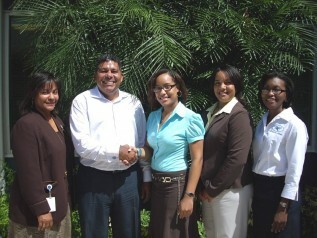 Kimberly Solomon was the recipient of the Authority’s annual scholarship for 2006/2007.